Typically, when people hear the words “engine replacement”, they automatically start to panic. We are here to ease any fears about engine replacement, for our team has over 40 years of experience in engine diagnostics and auto repair. Jack’s Auto Service offers honest, dependable, and skilled service to car owners throughout Grand Rapids. We boast a team of quality employees who work efficiently and effectively. Our technicians take the time to make sure the repairs are performed correctly the first time. In fact, we often offer same day service on most repairs. Regarding engine diagnostics, we rarely have a customer come back for misdiagnosis. If it happens to be our fault, we will make it right. We stand behind our work 100% with our 2-year / 24K-miles parts and labor warranty, plus a lifetime warranty on certain parts. 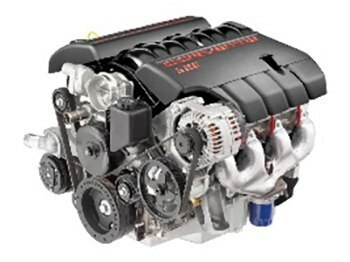 Engine replacement is a big job, and we believe only experienced and qualified professionals can get the job done right. Jack’s Auto Service strives to be the leading the independent auto repair facility in Grand Repairs. This means we always do our best and strive to always go the extra mile for our clients. If your personal automobile or fleet is in need of engine replacement, maintenance or repair, we invite you to Jack’s Auto Service. We are conveniently located in Grand Rapids. You can trust our friendly and experienced staff to get your car, truck, minivan or SUV driving its best!